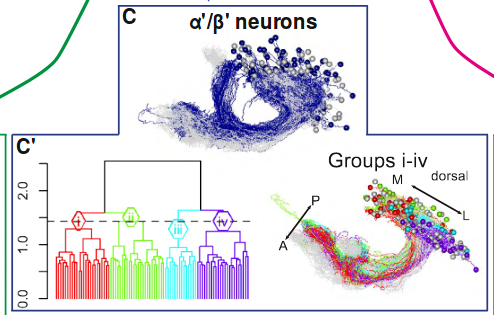 This R package implements the NBLAST neuron similarity algorithm described in a preprint available at http://dx.doi.org/10.1101/006346. In addition to basic pairwise comparison, the package implements search of databases of neurons. There is also suport for all x all comparison for a group of neurons. This can produce a distance matrix suitable for hierarchical clustering, which is also implemented in the package. Free-D is a three-dimensional (3D) reconstruction and modeling software. It allows to generate, process and analyze 3D point and surface models from stacks of 2D images. Free-D is an integrated software, offering in a single graphical user interface all the functionalities required for 3D modeling. It runs on Linux, Windows, and MacOS. Free-D is developed by the Modeling and Digital Imaging team of the Institut Jean-Pierre Bourgin, INRA Versailles, France. Localization-based super-resolution techniques open the door to unprecedented analysis of molecular organization. This task often involves complex image processing adapted to the specific topology and quality of the image to be analyzed. SR-Tesseler is an open-source segmentation software using Voronoï tessellation constructed from the coordinates of localized molecules. It allows precise, robust and automatic quantification of protein organization at different scales, from the cellular level down to clusters of a few fluorescent markers. SR-Tesseler is insensitive to cell shape, molecular organization, background and noise, allowing comparing efficiently different biological conditions in a non-biased manner, and perform quantifications on various proteins and cell types. SR-Tesseler software comes with a very simple and intuitive graphical user interface, providing direct visual feedback of the results and is freely available under GPLv3 license.